The creeks, rivers and low country throughout this area raises demands for safe water crossings. Whether you’re walking across, driving across or driving cattle across them, count on Fraser Concrete Contractors to construct these impasse solutions. 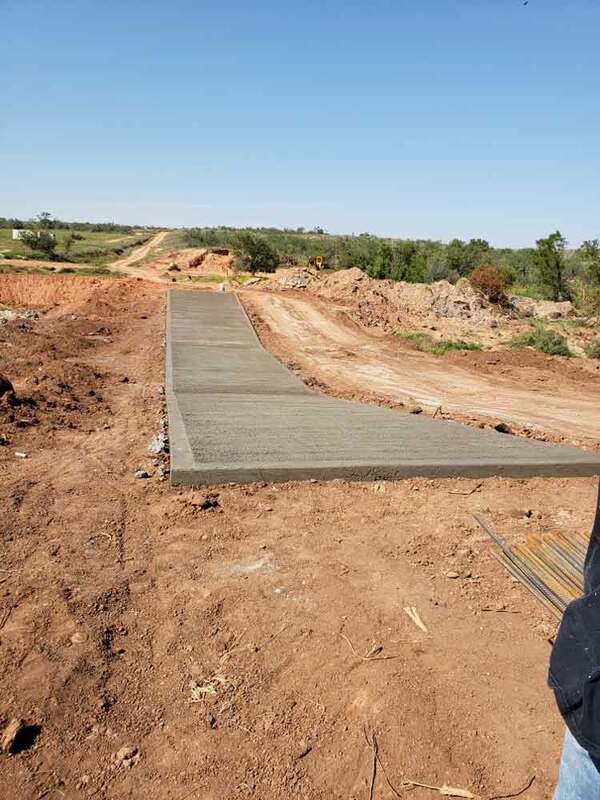 We’ll pour and pave a low water bridge in Aspermont, TX that’s reliable and resilient, so you don’t have to worry about slippery banks, rising water levels or other water crossing complications. Our ability to construct concrete bridges in Aspermont, TX is what sets us apart from other contractors! Let us build you a bridge specific to your needs, constructed with weight capacities, proper dimensions and more in mind. We welcome bridge projects at small to medium scales, with the ability to navigate all types of terrain. If you’ve got a water impasse that needs a crossing, we’re the concrete experts to call. Our experience with low water crossings ensures we’re constructing a bridge that’s resilient, properly reinforced and ready to stand up to all the elements. In areas of quick-flowing water, we construct culvert bridges. These bridges ensure water is allowed to flow freely, while still providing a safe, stable mode of travel for anyone walking or driving across it. We can help you determine if a culvert bridge is warranted for your low water crossing. Our decades of experience building low water crossings and our familiarity with the local geography makes Fraser Concrete Contractors your authority for these types of projects. Contact us today at 940-256-1774 to discuss your need for a concrete low water crossing. We’ll be glad to advise you on the right approach and deliver results that give you safe passage.